Carly Carlson Photography | BLOG | Baker City Eastern Oregon Senior & Wedding Photographer: April Mini Sessions! BOOK TODAY! Mini sessions are a blast- they're quick, no nonsense, high energy and they get the job done. AND you'll have your photos in time for Mother's Day if you'd like... sweet! 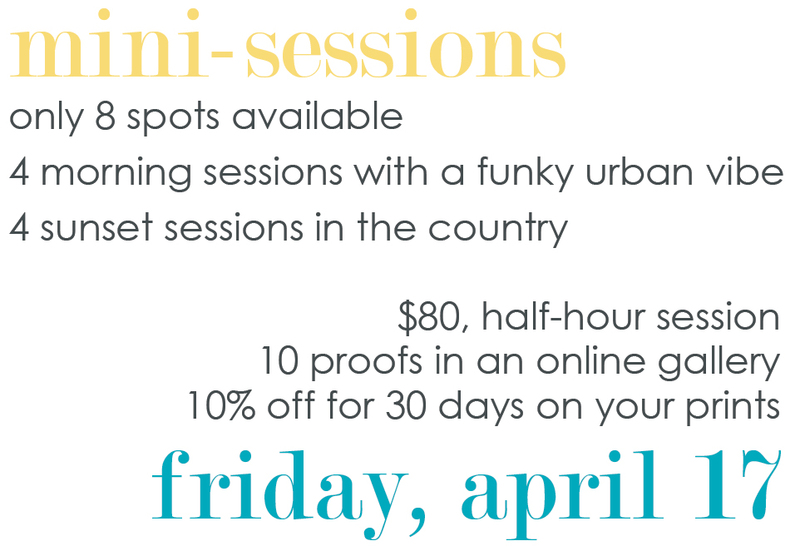 If you want to do a mini-session this month, but you don't fall into one of those categories, NEVER FEAR! I'll put you on the wait list and if we have an opening, you're in! !